85. For the Kids Too! 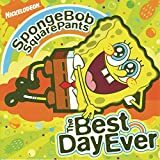 I first became aware of SpongeBob a few years ago while working at a community college in Southern California.Two of my student coworkers were totally entranced by the little guy and his colorful world.I checked out the series and was immediately hooked. This is truly the Pet Sounds of the Aquatic Square Pants CDs. 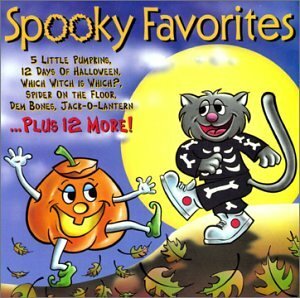 I have to add my 2 cents for the scariness of this cd. 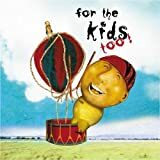 My 6 year old picked this out and we listened to it in the car on a long road trip.When the cd started my almost 4 year old covered her ears and started whimpering that it scared her.I told her "they were just being silly" so that my 6 year old could still listen to her cd.The 4 year old kept her ears covered for 4 songs all while I was trying to help her see how they were acting scary to be silly.After she had listened to the whole cd once she was not longer scared of it - and in fact now has most of the shorter songs memorized and constantly walks around the house singing "I'm a mean old witch with my hat... Ha-ha-ha-ha-ha".I'm glad I persevered and helped her overcome her fear so we now as a family have a blast singing Halloween songs together throughout the day.Now if you want to avoid any of this whimpering then definitely keep this cd for at least 5 year olds.My 6 year old wasn't scared of the cd at all and she loved how several of the songs have big "Boo"s at the end and other lightly suspensful moments. 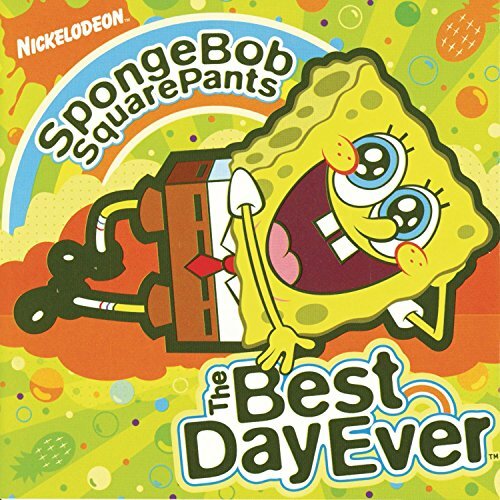 My child loves this CD! I bought this CD for my son who was 4 at the time and he loves it!We listened to it all year long.Even as a parent I enjoy this CD and find myself sometimes listening to it when I'm in the car alone.My child didn't think it was too scary. 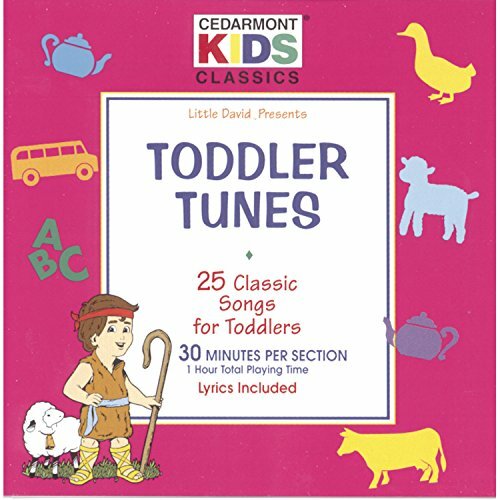 This CD is okay, but has a number of high-pitched, almost whiny songs that aren't very soothing.It wasn't what I was expecting out of a lullaby CD. It may sound like harsh judgement but there were only two songs that intrigued me and that I could see someone using on a film score. But as a whole it really is a pretty mediocre and forgetable CD. It actually serves its purpose though as it can put you to sleep as well as any other lullaby but I was hoping for something that would serve me better as background music as I sit at this PowerBook. Bottom line: It's OK but it sure ain't Heroin! The CD was in great condition, as described, and it arrived pretty quickly after I placed my order.Thank you, I would totally purchase from this seller again. When the kids start nagging in the car, I pop this CD in and the nags stop while the giggles and singing along start. Both my 18 MO daughter and my 3.5 year old son love it. My son loves to sing along with I"m different, Bottom of the Sea and Everybody Came and he sings "I'm different, different" all over the house on his own. I just love all of it and esp the Meow Meow song. This is great for lovers of modern rock and alternative pop. I guess you would be disappointed if you want mainstream stuff. 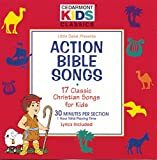 I'd also like to recommend the Beatles Songs for Kids CD - I never would have thought that Ob-La-Di, Ob-La-Da would be such a hit with kids. This one is even better than the first!! I was very unhappy with the CD. Every song skipped the entire cd. It is very confusing to try to listen to the ABC song when every few letters, the song skips to a later part of the alphabet. For $4, it was not worth paying to ship it back and try again. My 16 month old granddaughter loves this CD.She knows a few of the songs and motions to go with them.When the music is on, she stops what she is doing and just sits and listens. I have seen better days in Radio Disney. 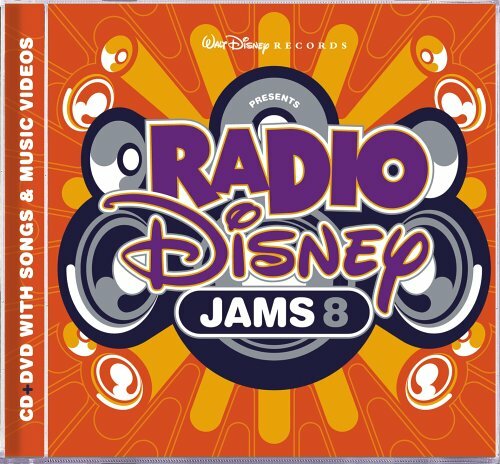 But finally, this version of Radio Disney Jams is the best ever! (okay, and no. 5). It begins with Alyson and Amanda Joy Michalka with their song "Do You Believe In Magic"; that was previously heard on Disney Channel. B5 is featured with Mr. C's Cha Cha Slide and Rihanna's Pon De Replay. Disapointments here were Jesse McCartney and Crazy Frog's annoying as ever song. The Cheetah Girls have Shake a Tail Feather from Disney's Chicken Little, and Hilary Duff has Fly. 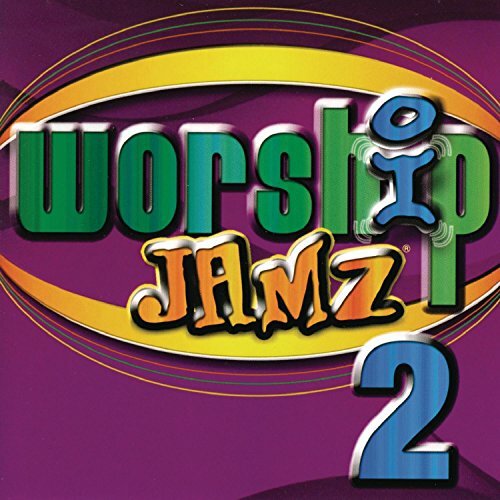 Devo 2.0 and The Click Five also contribute to this CD. This collection was better than expected! It could have had a few better songs,but it's pleasing! It's not boring and money-wasting like the 7th one was! I love the songs on this volume. 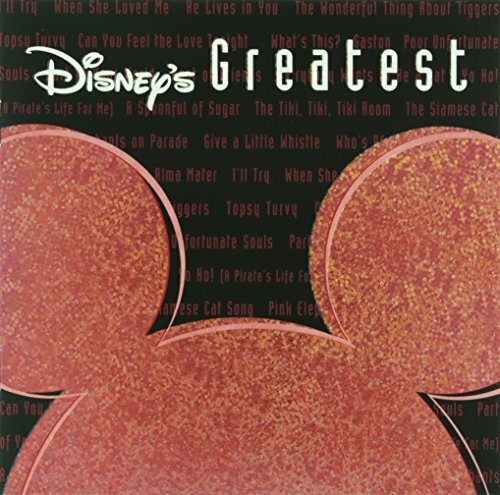 I'll Try by Jonatha Brooke is such an amzing somg. I especially bought this CD fort that song but, waspleasantly surprsed by the rest of the playlist. 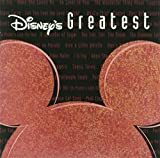 I have bought the first 2 volumes of Disney's Greatest Hits and the 3rd volume doesn't disapoint. My 2 young children love to listen to this CD and talk about the movies that they come from. A definate must have! 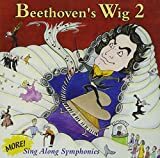 One of the best interactive music CDs for young children.Teachers (parents, care providers, etc.) don't even need to think of what movements to do with these songs; the songs direct themselves! 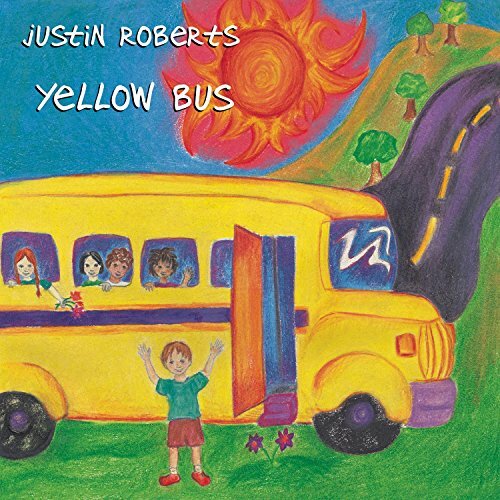 The best CD for preschoolers and younger siblings.Lively and slow songs. "Bear Hunt" and "This is the Way We Do It" are family favorites! "Bear Hunt" has sit down hand motions.Our preschool uses it!! My kids love to listen to this CD, and I love it because the songs are well known spanish songs that I grew up with! We all enjoy to sing along. Well done! Excellent Way to Teach and Learn Spanish by Singing! 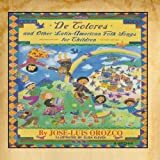 I highly recommend Jose-Luis Orozco's songs and books. They are an excellent and fun way to teach and learn Spanish by singing. I bought them for my children and it has helped them learn the Spanish language. Music is an excellent way to learn the language. The songs and music are very entertaining! My Little Niece Loves It! 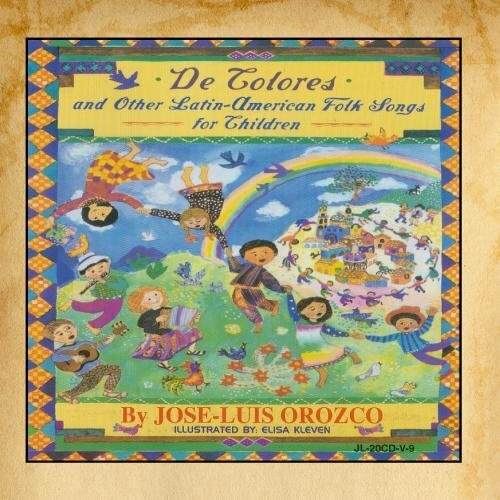 I love this CD.I've actually loved Jose Luis-Orozco ever since I was in college taking my teaching courses.He was commonly used to aid in our teaching lessons.The songs are very lyrical and are very catchy to dance to. Perfect for Baby AND Mommy!! This CD has great songs that are soothing for my 5 month old baby and that I enjoy singing to her (and can listen to for years to come)I really like how each song has a little backround about how each one came about.I think my daughter is going to enjoy these songs when she gets older too.I recommend this CD if you want something new and original.The first few songs are a little more upbeat so I usually start the cd at bathtime then by the time she is done, dried and dressed the songs get nice and slow for feeding and snuggle time.She's always asleep by the time the last song ends. Great for yourself or as a gift! 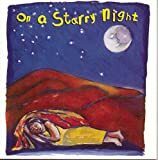 This CD is my only experience with Nicolette Larson's music. 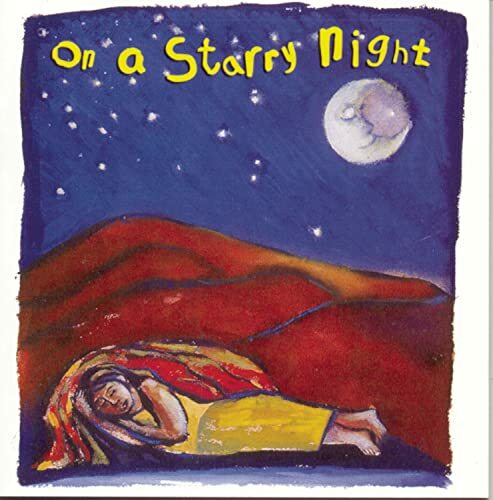 We have been using it for over 3 years as part of the nightly bedtime routine for our two girls and I can honestly say that we love it.We have many other CD's and this is the only lullaby CD that we really use.The music is great for both adults and children.After all this time, we still are not tired of the music.The CD insert tells a little about each song.This CD also makes a great gift for parents. 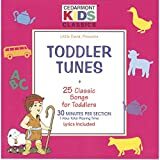 This is a great CD, with great music, at a great price.Everyone seems to love Baby Einstein, but I don't like the plinking music on those CD's, I like real orchestral pieces to stimulate my child.This is exactly what parents need, at a good price! 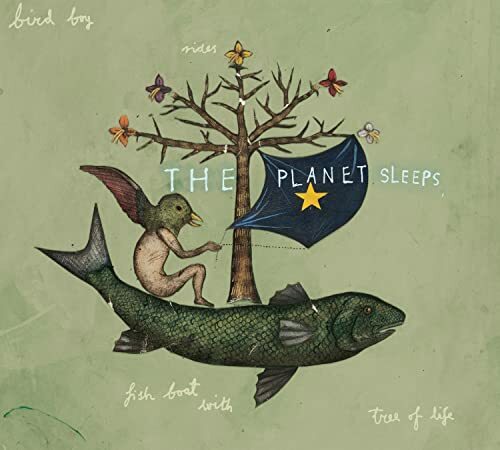 I got this cd to use as background when putting my 18 month old to sleep and for car rides. So far it has not made it out of the car. The cd is wonderful. The first song is the Luftansa airline comercial song (that is what my husband calls it) and is beautiful. I didn't think my husband would enjoy the cd at all but he doesn't mind one bit listening to it, he actually will put it on himself when we get in the car. My daughter loves it and will often start nodding her head back and forth to songs. I actually listen to it even when my daughter is not in the car. The music is soft and relaxing but not boring. It is also one of the only cd's that my in laws don't mind listening to when they are in the car with us. I finally found the Christian music I was looking for! I have realized since having a child that I am rather critical of the arrangements of many music CDs for kids.This CD is wonderful.All of the reviews are true.The Cedarmont Kids are singing in a "normal" manner and are easy to listen to.By normal I really mean just plain singing by kids that you can listen to for an extended period of time.This is not a jazzed up CD which is what makes it perfect for me. 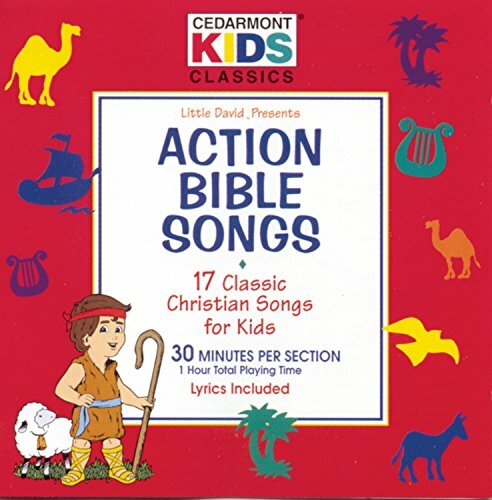 I really wanted a few CDs of Christian music that included songs that I heard as a child.This CD is so well produced that I feel it would be a welcome addition to any Christian parent's CD collection.I think that I may start including Cedarmont Kids CDs in my baby shower gifts since this is one item that can be used for several years. 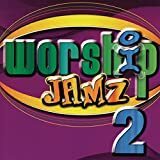 The two tracks - one with just music is great for the Sunday School. We were put on this earth to worship the Lord.This cd trains children in the area of worship.It sets the roots for a Godly life.When my daughter sings these songs with her whole little heart I am sure that the Lord is dancing to her praises.If you are open to suggestions on how to worship and praise God, this cd will surely act as a catylist. This is a good CD - love all but 2 songs ("Liesl Echo" is pretty slow and brings our silliness to a halt...and "I Don't Wanna" makes me fear that ideas of bad behavior will be planted in my kid's brains).Still - it's in-line with other Ralph's World CD's...genuinely fun and silly, and catchy enough to engage parents in the fun of dancing and singing along.We especially like the "Tarzan" song...great lyrics!We also love his other CD, "Happy Lemons"...every song is a gem! 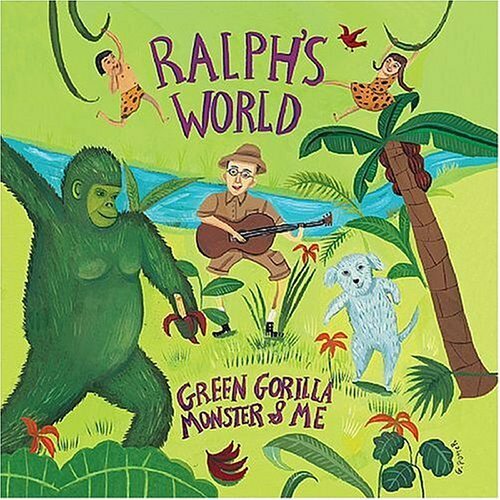 We have all of the Ralph's World CDs and this is the one I like the best.My son, who is 20 months old, likes this one and also "At the Bottom of the Sea" but all of the Ralph's World CDs are great for kids and only a very few tracks are irritating for parents.If you've listened to much children's music, you'll know that it's rare to find music that won't make you grind your teeth.Ralph's World is great for little kids and I think would be enjoyed by kids up into elementary school as well. Super Cute Without Being Annoying! 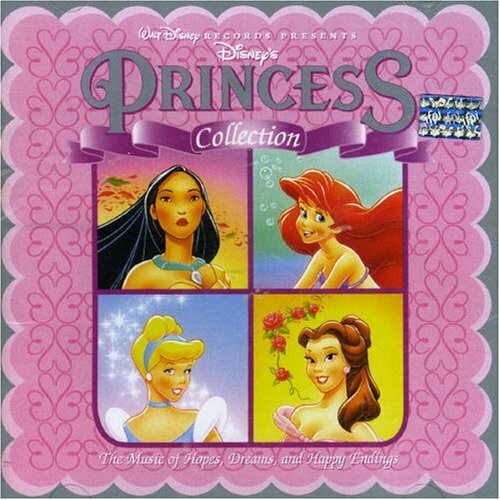 I bought this cd for my daughter's 3rd birthday. She LOVES it! She asks me to play it every day and we both sing along to all of the songs. She has even picked up on the songs that she didn't know before she received it. I love it because now she is more interested in listening to the cd and dancing with me in the house than watching a video. In quiet times, she likes to sit on my lap and look at the pictures in the liner notes. The recordings are beautiful, it is the one children's cd that I can listen to over and over. 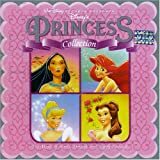 If you have a little girl who loves princesses, this is definitely worth the money. 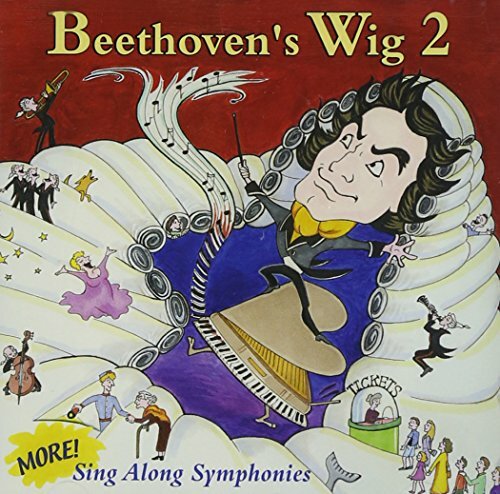 Like the first volume, this CD encourages young children to enjoy classical music.The silly lyrics sometimes impart factual information on the composer or the piece.There are 11 sing-along symphonies and then the 11 symphonies are replayed without the lyrics--total of 22 tracks.Booklet with lyrics and trivia is included.All our children (aged 2-12) enjoy this CD, as do we. One is better but this is still awesome!! Gotta have it! My children loved Beethovens Wig 1. I checked this one out at the library. Then, we decided we had to have this one too. Absolute joy, and endless fun! This CD rarely leaves our CD player. We wake up with it while eating oatmeal, we take a break after school with it, and we rock out at night with a little Justin Roberts. When we do switch CDs, it is usually to another JR CD. We love Justin! 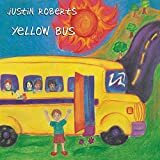 Finally, children's music that you truly enjoy.My husband and I love Justin Roberts.We even listen to it when the kids aren't around.The kids love to dance and sing along. The whole family can enjoy this music, unlike many of the other kid's music that is so lame. We all love this one! 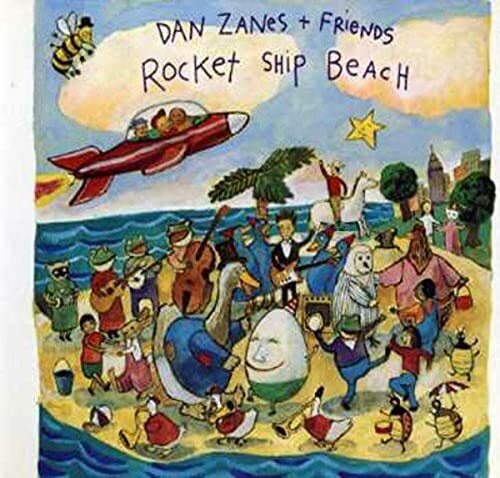 Dan Zanes is great! My husband and I both enjoy listening to this as well as our 20 month old. Most of the other music CD's that we have for our son I find a little irritating after a bit of listening. 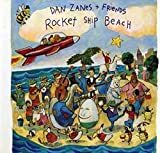 Rocket Ship Beach is fun, family music! I highly recommend this to all ages! Subjects: 1. Children's 2. Children's Folk 3. Childrens 4. Pop 5. Rock 6. Roots Rock 7. Sing-Along 8. children's music with the raw spontaneity of early rock and roll, the handmade traditions of american folk and the breezy soulfulness of old time west indian music, all on a scale for little and big ears.